I love lemon curd. When I was a kid, my mom would make it for very special occasions, and use it to fill cream puffs or make lemon meringue pie. It’s one of my favorite treats! So I was so excited to realize that it was not only GAPS legal, but fine for Intro Stage 6 as well if citrus and egg yolks are already well-tolerated. 1 1/2 cups fresh lemon juice – You might want less – I like it sour! Use Meyer Lemons for a naturally sweeter taste. If you use bottled juice, reduce by half and add more to taste. zest of 2 lemons – organic & washed, please, and make sure to avoid the bitter white pith! Separate your eggs, reserving whites for meringue or coconut macaroons. Put the yolks in a medium bowl and whisk them together. In a small saucepan, combine all the other ingredients and heat over medium-low, stirring to dissolve honey. Whisk about 1/2 cup of the hot lemon mixture into the egg yolks to temper them. Continue whisking, and slowly pour in the rest of the lemon mixture. I like to use our stand mixer for this. Return the mixture to the saucepan, over low heat. Whisk continuously about 3-4 minutes, until the curd has thickened. Make sure it doesn’t curdle by keeping the heat low. If the egg whites were not completely out of the yolks, it may have a little foam on top. You can skim it off easily. When the curd is ready it will be shiny and you’ll see trails left in it from your whisk. Pour into glass jars and refrigerate. You can strain it into the jars if you don’t want the texture of the zest. It will be firm in about 3 hours, but you can enjoy it any time! This post is part of Make Your Own Monday, Fat Tuesday, Hearth & Soul Blog Hop, Slightly Indulgent Tuesdays, Gluten Free Wednesdays, Healthy 2Day Wednesdays, Allergy Free Wednesdays, Made From Scratch Monday, Simple Lives Thursday, Pennywise Platter, Full Plate Thursday, Freaky Friday, Fresh Bites Friday, Fight Back Friday, Allergy Friendly Friday, Friday Food Flicks. OMG! That sounds to die for and looks even better 🙂 But we can’t have the eggs…booohooo. But I know of family members and friends that can and will be sure to share this recipe. Thank you! Lemon curd is so lovely, and your recipe sounds wonderful. Thank you for sharing it. Thank you so much for sharing your great recipe on Allergy-Free Wednesdays. Lemon curd sounds quite tasty. Be sure to check back next week for recipe highlights (including the top 3 reader choice submissions and hostess favorites). I love all things lemon– this looks fantastic! I don’t see why not 🙂 If you sub orange juice for all but 1/4 cup of the lemon juice, and use orange zest instead of lemon it’s delicious, too! For folks who don’t have the patience to make ghee, butter works, too. This is a great Lemon Crud, very creamy and rich, it looks wonderful! Thank you so much for sharing with Full Plate Thursday. Hope you have a great week and come back soon! Mmmm I love lemon curd! Thank you for sharing with Healthy 2Day Wednesday, and come back on Wednesday to see if you were featured! I am so excited to try this. 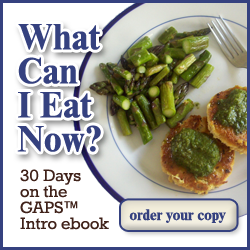 I’m not on GAPs, but try to follow a Candida diet closely, which means very little grains. I will be making mine with xylitol though. I’ll let you know how it turns out. Now, I just need to find a yummy almond flour scone recipe to serve this on. Thanks so much for sharing. I’ve pinned you on my pinterest.